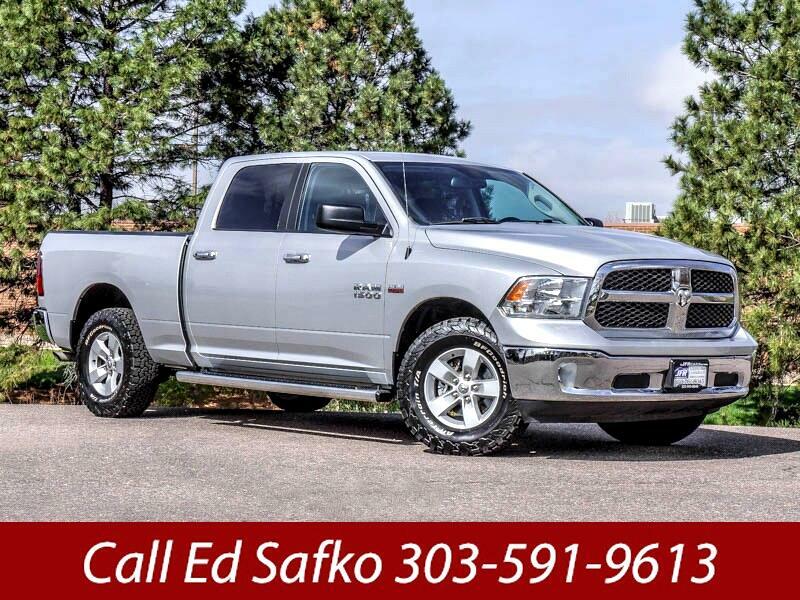 Used 2016 RAM 1500 SLT Crew Cab LWB 4WD for Sale in Littleton CO 80120 JFR & Associates, Inc. Looking for a half-ton pickup that can tow your trailer like a champ? Then you'll want to take a close look at this 2016 Ram 1500. It's a great choice if you're in the market for a full-size truck. The cabin is built with high-quality materials and offers a smooth, quiet ride. From the driver's seat, this truck feels and drives like a dream. The seats are comfortable, and the cabin offers plenty of room for you and your passengers. This Ram comes with a variety of options like alloy wheels, Bluetooth integration, a backup camera, bed liner, keyless entry, CD player, tilt wheel, running boards, plus lots more to make your drive more enjoyable. You are cordially invited to take this well built Ram 1500 for a test drive and discover for yourself why this truck is so popular. Contact us today and schedule your test drive. Call Ed Safko at 303-591-9613 if you have any questions or if you would like to schedule an appointment to see this vehicle.